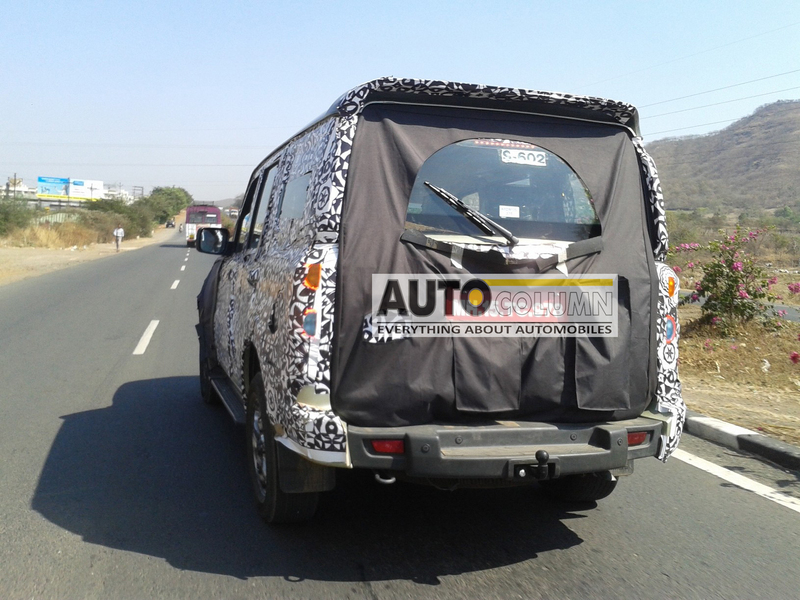 After spotting various times near Mahindra Reseach Valley in Chennai, 2014 Mahindra Scorpio facelift reaches Pune for testing. 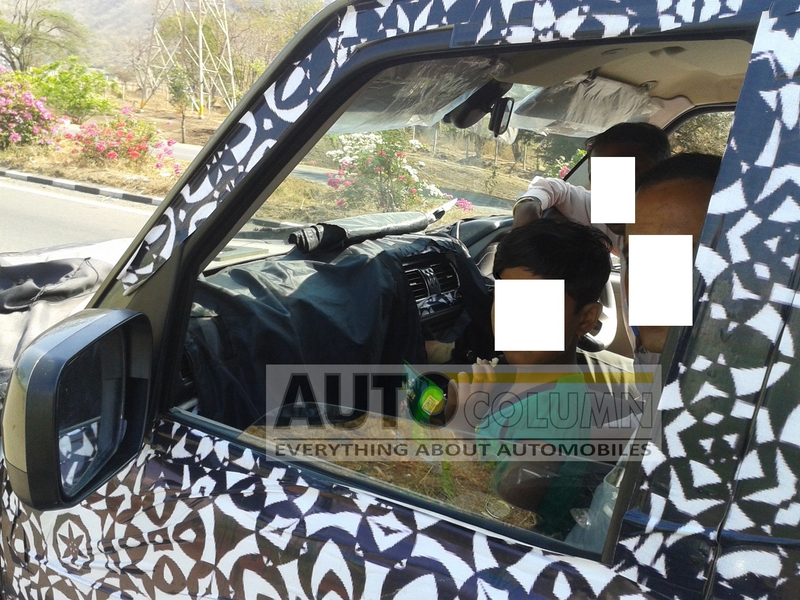 We spotted a production ready version of 2014 Scorpio that shows a few changes on the new vehicle. 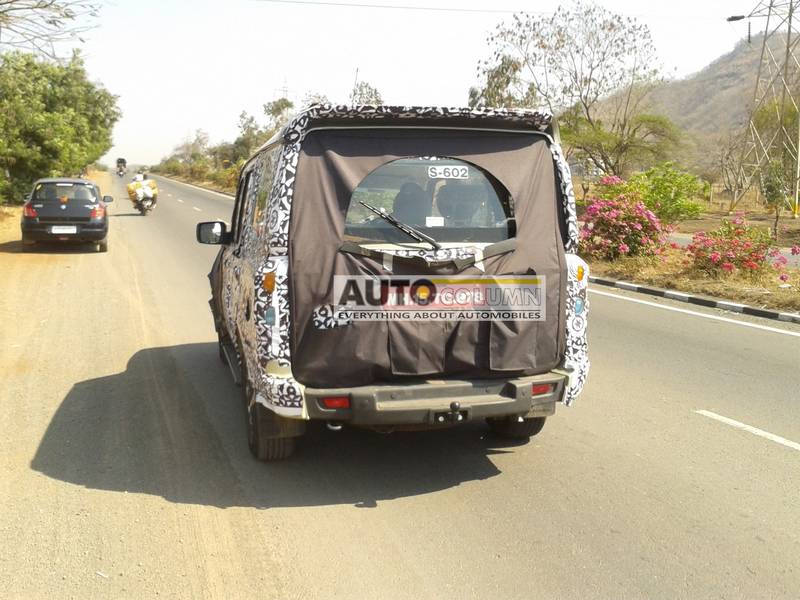 The headlamp and tail lamps are in place unlike other test mules spotted earlier. Even front and read bumper is from final design and now completely camouflaged. Notice the tiny towing hook at rear bumper. The front end is expected to get major a revamp including parts of grille, bumper and a twin barrel headlamp whereas the rear end will get a redesigned bumper and a new LED tail lamp unit. On the interior side, the dashboard gets a whole new design with piano black plastic inserts, rectangular shape AC vents and a new steering wheel. The instrument cluster will also get a tweak in design to match the new dashboard. The side profile panels are expected to get a few design changes but not a complete new design. Vehicle exterior dimensions will remain same except the tail gate. Under the hood, 2014 Scorpio will retain the 2.2 liter mHawk turbo diesel engine that pumps 120 bhp and 290 Nm of peak torque. The 5 speed manual gearbox and 6 speed automatic gearbox will be retained along with rear wheel drive and front wheel drive layouts. The company has worked on overall suspension package that will not give a swingy ride to passengers in new Scorpio at high speeds. Ride and handling package tweaked to have minimum body roll in new Scorpio. Safari Storme by Tata Motors is a product that also got major changes (borrowed from ARIA) but under the hood and minimum changes on the exterior and the product is not doing so well in the market compared to competition. 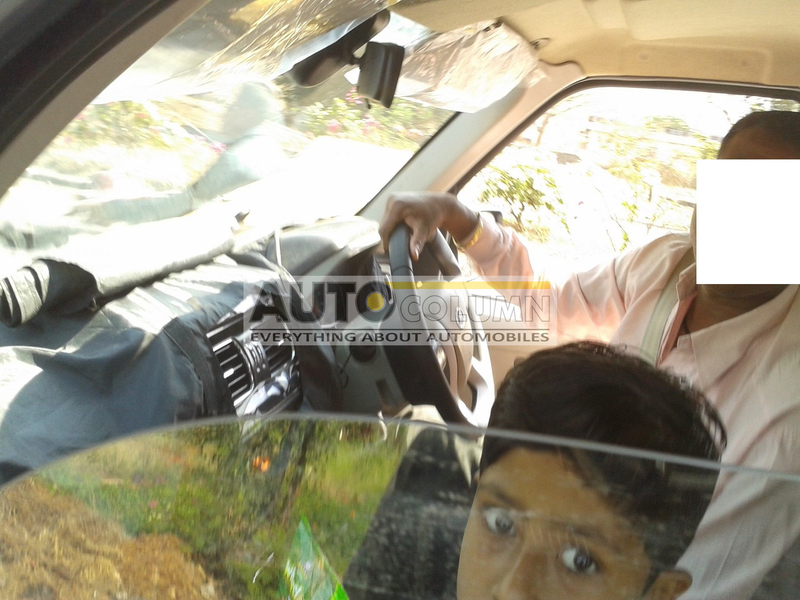 We just hope new Mahindra Scorpio will not repeat Safari Storme story. 2014 Scorpio will borrow some parts from its elder sibling XUV 5OO and is expected to hit the market in next two months. The tough competition from compact SUVs and already having products like Bolero, XUV 5OO in SUV segment, it will be interesting to see where Mahindra will position new Scorpio in terms of pricing and features offerings.